As we watch the green coming back and the buds beginning to open, we are eager to be outside among the breezes and birdsongs. After spending the winter reading our books, we emerge from our lessons ambitious to enjoy and name the spring sounds and foliage around us. Pointing fingers, following flitting birds and calls to 'look over here' bring us from one part of the woods to the other. An empty bag brought to collect treasures quickly becomes full of pine cones and needles, river shells and rocks, feathers and leaves. Only the best will be kept, the rest go back outside. Ideas for homemade pine needle brooms send scavengers for likely candidates. Smelling, listening, hearing and touching all are needed and used to admire and identify the loveliness all around us. It is a wonderful feeling to be in God's creation and know it all serves the purpose to bring glory to its Creator. He truly is a marvelous Designer and we rejoice in His work. After a long winter, it has been wonderful to step outside on mostly solid ground to look around and aim the camera at what I see. 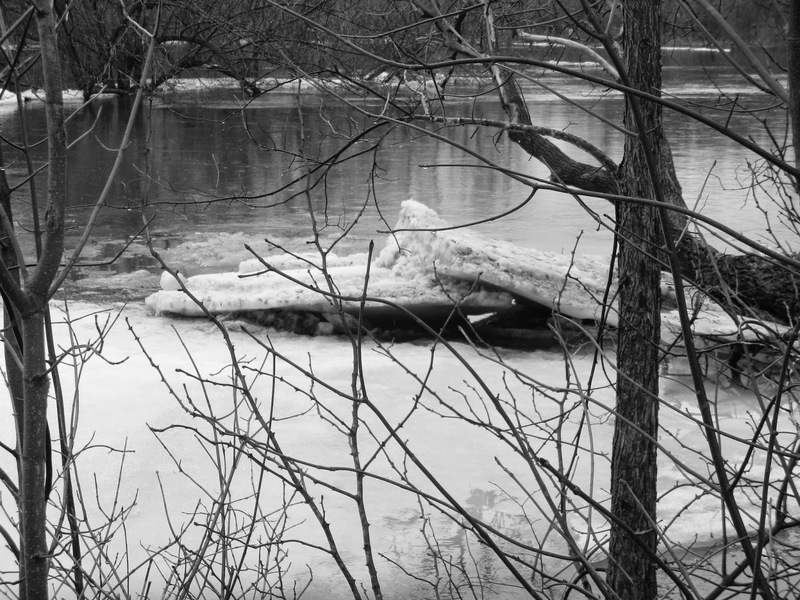 The river in the spring time always provides a fascinating landscape as the ice begins to thaw and move with the current. The banks overflow and spill out into the area that we call our backyard. Although it is not our property, we are able to have shared use of it with the neighborhood as our playground and nature study area. This collection of photos is from this past week of river watching as it went from a silent solid mass to a gurgling liquid pool. River snails were left behind as the river receded in some areas and a recent sunset turned everything to gold as budding branches held on to large drops of rain. We know how fortunate we are to have this view and we treasure it in each new season. Soon the buds will break open, bringing new life and color to this river area and I hope to be able to capture it to share with you. This is the official January/February Book List. I previously posted just a list of the books after disaster with the original post struck and I didn't have insurance. Sigh. 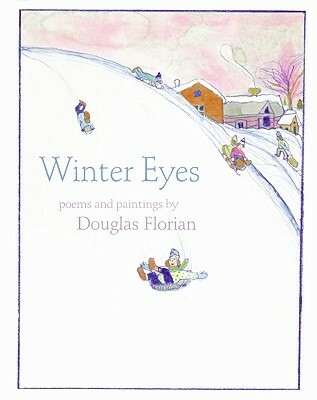 We have borrowed other poem books by Douglas Florian, he has written many of them. We all liked this one and the kids had their favorites and I had mine. Seth and Laura liked the "sister" poems, What I Love About Winter and What I Hate About Winter both of which were done in rhyming lists. I preferred this one. To not enjoy a Norway spruce. Magnificent in rain or shine. Is fine as any conifer. Is graced with handsome symmetry. My eyes eat up these winter greens. I found this anthology of poems while browsing the bookshelves of my friend Julie in New Brunswick and even though we have many books of children's poetry, we needed this one. 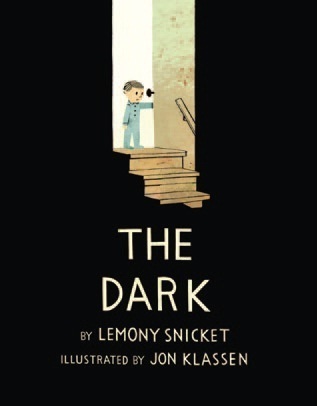 It is a delight and leads to all sorts of conversations around here when we read from it during our Morning Time. It's actually hard to put down, the kids and I both want to keep reading and rereading the poems. We have enjoyed several other books by her and this one on the Erie Canal was great too. Not being that familiar with the canal, I found this to be a well illustrated story of how the canal came to be built and used. I really enjoy her colorful artwork, detailed drawings and labels. I had no idea what this book was about, but the cover and the author were enough to intrigue me into bringing it home from the library. It turned out to be a very unique story idea to a very ordinary type of problem. And the suspense that the book builds was almost too much for Laura who wanted to keep turning the pages even if she was a little fearful of what might happen next. I won't give anything away by saying anything more. It's a fun book. Although like me, you don't want to cozy up with books about blizzards for quite a while, do mark this one down for next winter. An endearing story of students and their teacher from a one-room school who must take shelter from a snowstorm by spending time together in one of the children's homes. A gentle reminder of what fellowship and community can be. I'm not sure where to begin talking about this book or the ideas presented in it, or its writing style. Although I have read a bit about the book and seen some quotes from it on other blogs or articles, I had no idea what the book was really about. Our culture talks a lot about "using your imagination" or " having a good imagination" but our culture does a terrible job of cultivating an imagination. Saying that leads one to ask what our culture is trying to cultivate anyway since isn't that what culture is, something that has been cultivated and preserved? This isn't the space to delve into the book, I hope that comes later with some friends who I asked to read the book with me. But for now, consider adding this book to your list, if you can handle the satire that the title emits. Even though it was often difficult reading for my taxed brain, it was very rewarding, as most difficult tasks usually are. I'm including these two titles together even though I read them They are brief books with short chapters that are very understandable and provide a common experience for young moms. Rachel's style of writing and content is empathetic but also exhorting. She writes about how crazy and exhausting parenting is because she is doing it right now, but she also reminds you of what your purpose and goal is and encourages you to do it well. I like her books and I reread them to remind myself that we are all doing this and no one has it easy. Reading books like these help give you perspective and ideas to parent rightly and with the enthusiasm of a faithful servant in God's kingdom. Rachel was interviewed by Family Life Today last fall and you can listen to those discussions to hear her in real life here. If nothing else can be said about the book, the speed with which I finished it should count for something. Started it late Saturday night after reading several other nonfiction books and I finished it by lunchtime Monday. (And that included two church services on Sunday and housework and lessons supervised on Monday. )The author recounts her work as a Health Visitor in post-war England with little bits of her personal life included. It is written as journal entries which cover two years in the late 50s and early 60s. The living situations of many of these families is undeniably atrocious, but her recounting is not sensational, instead it is straightforward, detailed and full of concern for those who need her assistance. The book did leave me wanting to scrub my house down to its very crevices as her entries recounting the filth and rankness she encountered made me feel nervous about some of my own housekeeping negligence. If you are familiar with the television series Call the Midwife, then you will likely see and enjoy the similarities. Looking forward to her other two titles, Twelve Babies on a Bike and The Village. These three books form the first trilogy called The Stonewycke Trilogy. The second trilogy by the same authors is called The Stonewycke Legacy which I also borrowed from my mom to read again at some point. These books were written to capture the spirit of George MacDonald's books written about the Scottish Highlands. I enjoyed these books as a teen and it was a pleasant time to reread this series again revolving around several generations of a Scottish Lord and his family. I have kind of lost count how many times I've read these first three books in the Mitford Series, but they are so good I love coming back to them. And Jan Karon is writing some more Mitford novels! If I read books that are or were popular best sellers, I always read them years after everyone else is talking about them. I'm current like that. This book was alluded to again somewhere I was reading and I thought it was time I read it and see what I thought. I liked it, simple as that. It was witty and interesting and eye-opening. Not bad for a popular fiction title. I didn't realize it would be all letters but after a few pages, I caught the flow, figured out who was writing to who and enjoyed the stories. A book to remember and enjoy again. I guess I have to reread this book because I found the ending disturbing and totally unexpected. But then again, I don't really dig dystopian works. But just to keep up with my tour through the classics, I felt compelled to read it. I'm not really smart enough to read some of these books, but just when I thought I was getting somewhere, a plot twist sent me back to bewilderment. I found the early parts of the book quite profound and the later parts bizarre and sickening. I might need to find some good ole' CliffsNotes for this one. Or I can just keep going and finish George Orwell's 1984 and really know my limitations. And now I have less than three weeks to get the March/April post ready; it almost wants to make me stop reading books for the next three weeks. Almost.